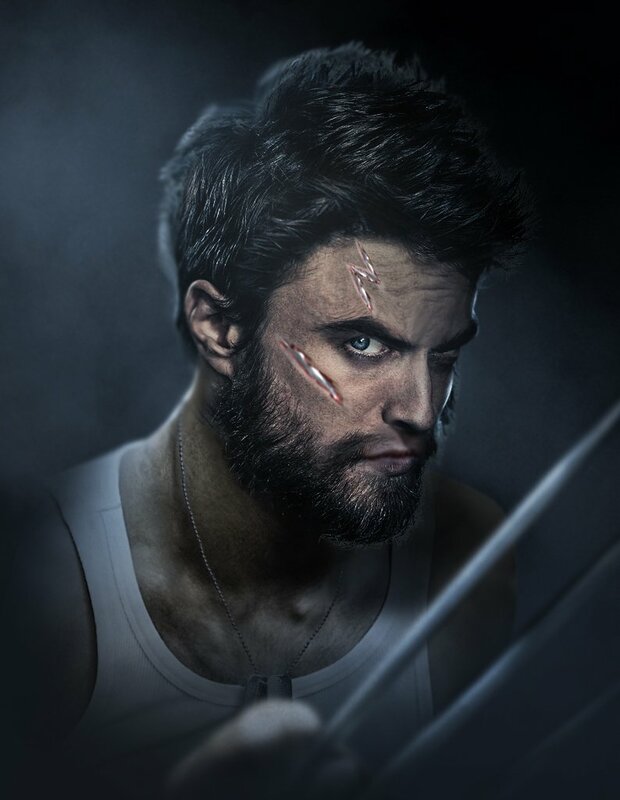 Over three years ago I put forth the question: How about Daniel Radcliffe as Wolverine? Now the Harry Potter actor answers the question in a Q&A video. "Is Daniel Radcliffe the new Wolverine?" the actor said as he revealed the question from the Wired Google Q&A . "There's going to be a new Wolverine movie in which it starts off with Hugh Jackman being put into a hot wash, and then when he comes out, it's me. So, yes. I'm very happy to announce that here." Obviously, Radcliffe is just joking, but he is actually a lot closer to the look of Wolverine in real life than Hugh Jackman, as least when it comes to height. Wolverine in the comics is around 5' 3" or so, with Radcliffe coming in at around 5' 5". He's actually pretty hairy, too. In a previous similar Q&A, where Daniel Radcliffe mentioned Spider-Man, a fan commented, "Daniel Radcliffe for Wolverine. That is all.﻿" The comment has generated 450 likes with 23 replies. Regarding Spider-Man, the actor commented on a social media post that questioned if he would have made a good Spider-Man. "Yes. I would have made a very good Spider-Man," Radcliffe said. "Not in the films. I just mean in real life, were I granted those powers." As a result of the Disney-Fox deal, the X-Men characters, including Wolverine, are going to be at Marvel Studios with all indications pointing to a reboot of the character. Most recently saw an X-Men producer confirm Marvel has started thinking about looking for a new Wolverine, and it has also been reported Marvel is excited to recast the character for the MCU.